Apricots are a bright orange stone fruit that can be bought fresh during the Summer months, or enjoyed dried when not in season. This flavoursome fruit is often used to add sweetness to savoury stuffings, cous cous or spicy Middle Eastern and North African dishes, such as in Geoffrey Smeddle’s lamb tagine. 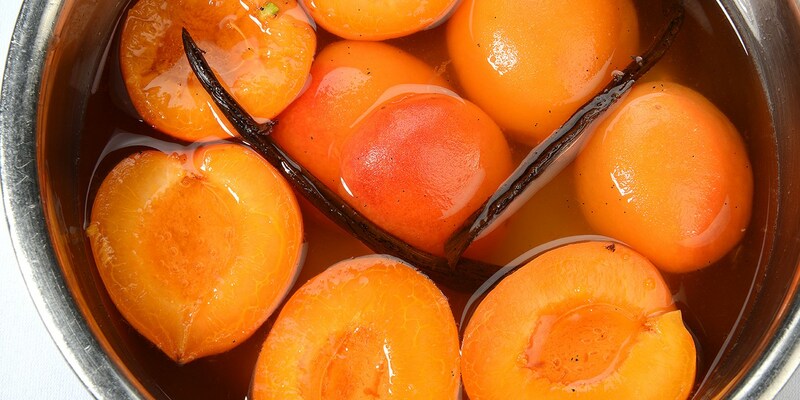 In desserts, apricots lend themselves particularly well to roasting, grilling, or poaching, as Phil Howard serves them, paired with honey ice cream. In dried form, apricots are often used in baking and breakfasts to add texture and flavour, and pair particularly well with almonds and pistachios. This amazing collection of apricot recipes includes everything from a refreshing iced apricot sorbet by Stephen Crane, spiced apricots by Nisha Thomas to Adam Gray’s easy cereal bars, and even Pascal Aussignac's more unusual Roquefort pie with aromatic apricots.